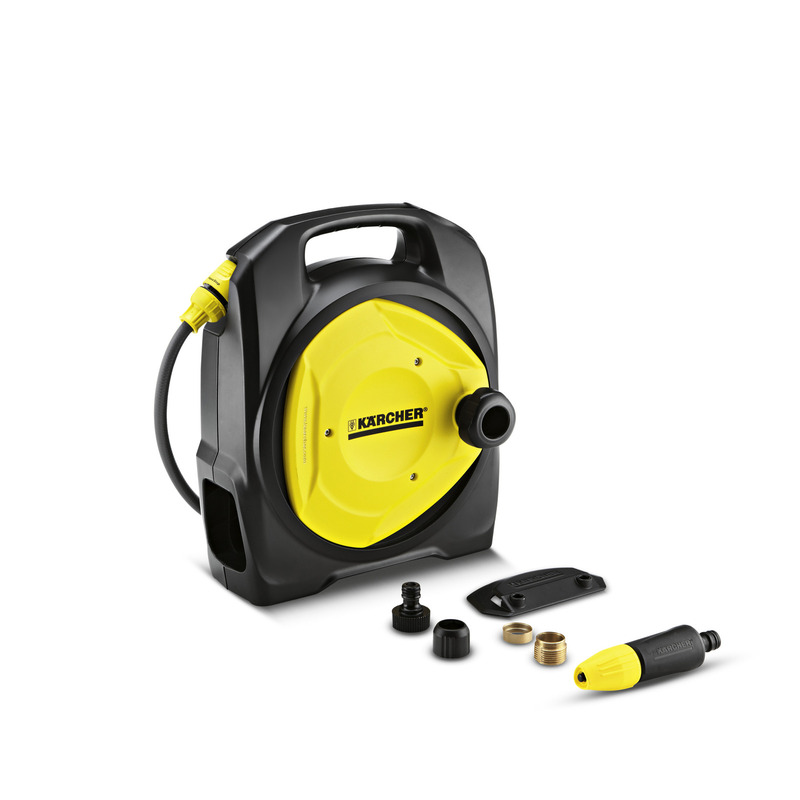 Compact hose box CR 3.110 Balcony 26452100 https://www.kaercher.com/ie/home-garden/watering-systems/hose-storage-and-hose-trolley/compact-hose-box-cr-3-110-balcony-26452100.html Compact hose box for watering on balconies, roof terraces and small gardens. Convenient and quick coiling and uncoiling. Ideal for space-saving stowage at home. 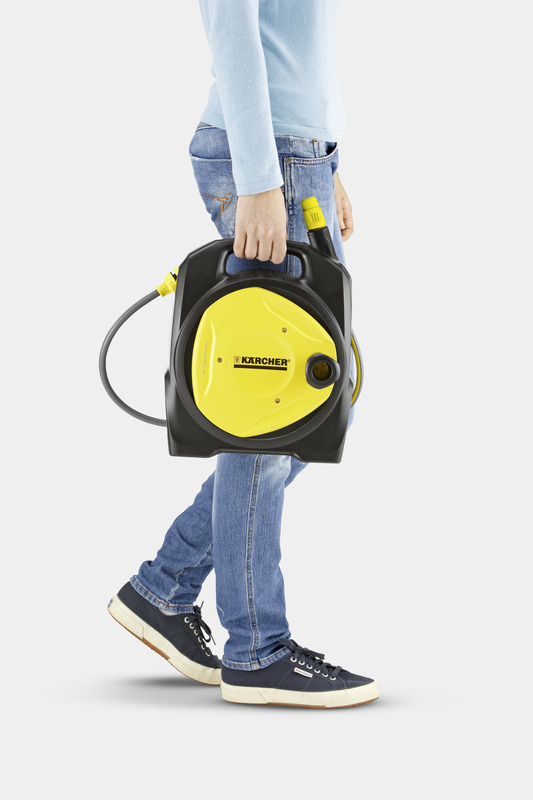 Compact hose box for watering on balconies, roof terraces and small gardens. Convenient and quick coiling and uncoiling. Ideal for space-saving stowage at home. The first indoor hose reel for the balcony means no more heavy watering cans. 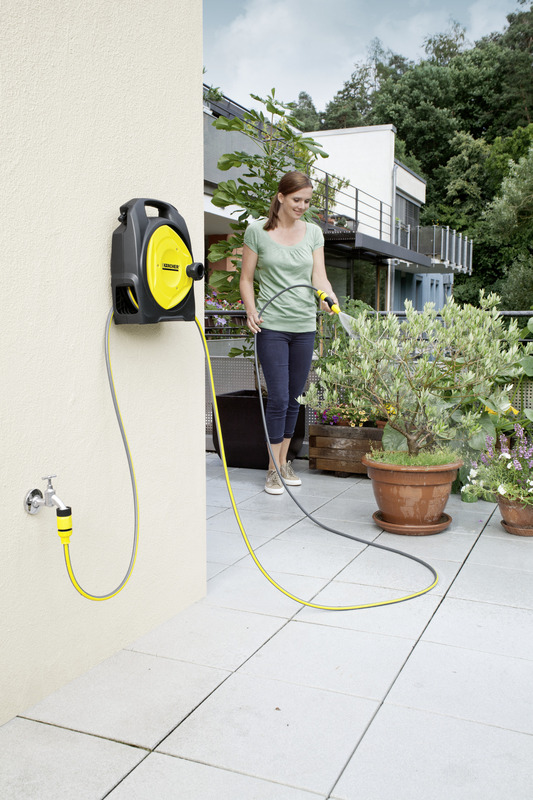 The compact hose box, CR 3.110 Balcony, is the ideal watering solution for the balcony, roof terraces and small gardens. 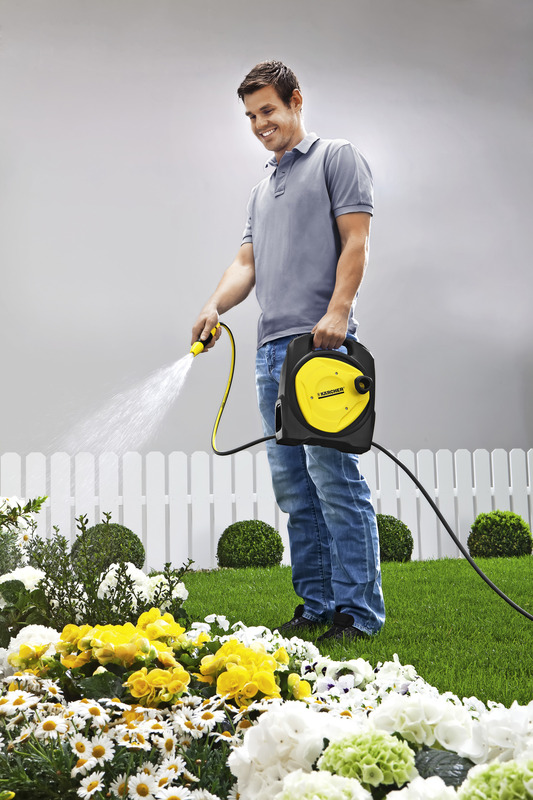 The reliable anti-drip system and practical accessory storage reinvents convenient watering. 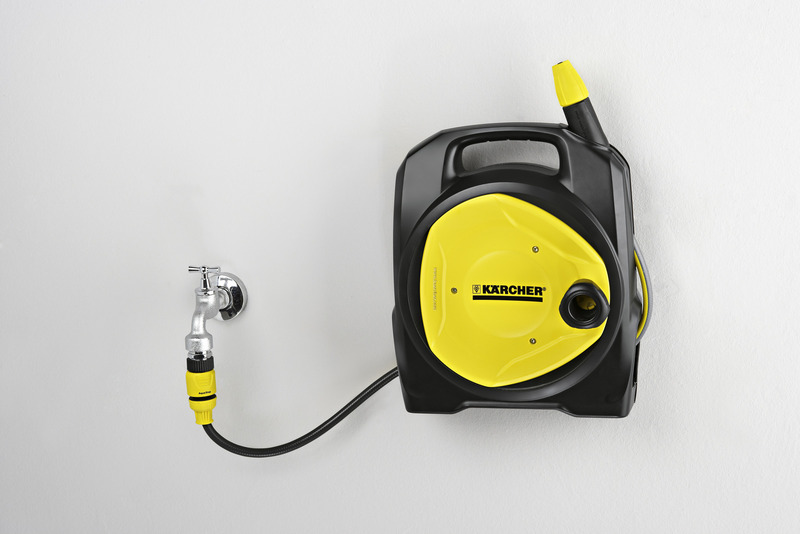 The two built-in Aquastop couplings make it convenient to disconnect hoses without spraying. Water stains on the carpet or parquet are things of the past thanks to the intelligent stowage concept for accessories and hose ends. In addition the CR 3.110 Balcony hose box can be installed on indoor water taps thanks to the compatible tap connection for indoor fittings. 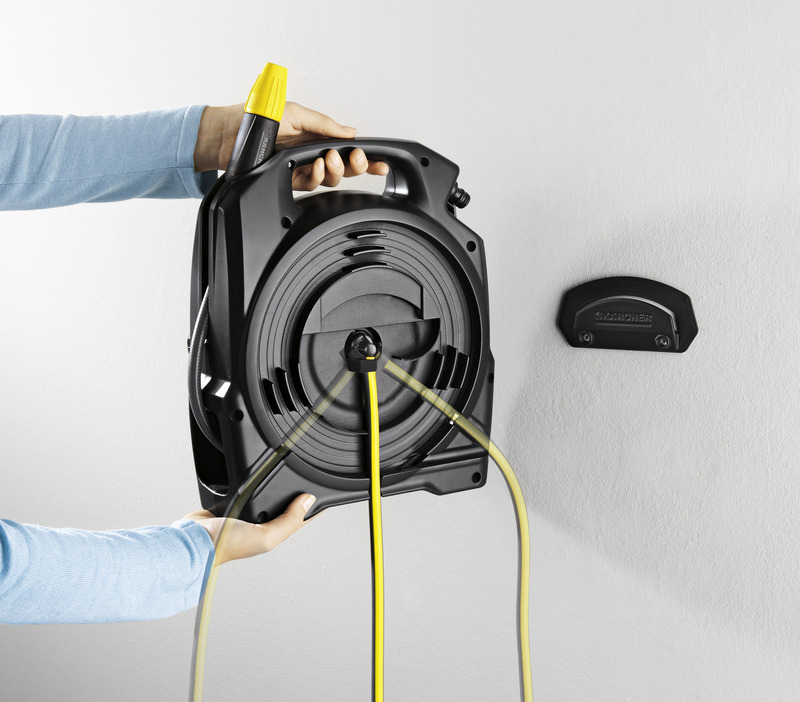 By the way: The indoor hose reel is suitable as a supply hose for the K 2.200 Balcony and other K 2 units. Tap adaptor compatible with all standard taps. Compact hose box CR 3.110 Balcony is rated 3.7 out of 5 by 3. Rated 1 out of 5 by frada01 from broken in less than a year unable to find spares Broken connector and unable to find a suitable spare anywhere. this product has a small diameter hose so has a special connector that nowhere seems to stock. It also comes off the wall when you unreal the hose. Rated 5 out of 5 by Michael_G from Perfect for use via an inside tap Bought this for the little garden and potted box at the front of our townhouse. We've no access to the rear garden tap from the front so the hose has to go through the house to the kitchen tap, for which a screw on connector is supplied. 10m+2m is just enough. Works great and the little reel can easily be stored inside, keeping it clean. Some of the other 5m or 10m "balcony/patio" type reels look a bit too much like kids toys to me, but this is great.